Bastian O and Schreiber K F (eds.) (1999) Analyse und Ökologische Bewertung der Landschaft. 2. Neubearbeitete Auflage. Heidelberg: Spektrum Akademischer Verlag. Bottger K (1978) Okologischer Gewasserschutz eines norddeutschen tieflandbaches. Erste gestaltungsmassnahmen am wiesenabschnitt des unteren schierenseebaches im naturpark westensee, Schleswig Holstein. Schriften des Naturwissenschaftlichen Vereins für Schleswig Holstein 48: 1 12. Chen YD, McCutcheon SC, Norton DJ, and Nutter WL (1998) Stream temperature simulation of forested riparian areas. Part II: Model application. Journal of Environmental Engineering ASCE 124(4): 316 328. Dawson FH and Kern Hansen U (1979) The effect of natural and artificial shade on the macrophytes of lowland streams and the use of shade as a management technique. Internationale Revue der Gesamten Hydrobiologie 64: 437 455. DillahaTA, Reneau RB, Mostaghimi S, and Lee D (1989) Vegetative filter strips for agricultural nonpoint source pollution control. Transactions oftheASAE32(2): 513 519. Doyle RC, Stanton GC, and Wolf DC (1977) Effectiveness of forest and grass buffer strip in improving the water quality of manure polluted runoff. ASAE Paper No. 77 2501, 32pp. St Joseph, MI: ASAE. Farina A (2000) Principles and Methods in Landscape Ecology, 235pp. Dordrecht: Kluwer Academic Publishers. Groffman PM, Gold AJ, and Jacinthe PA (1998) Nitrous oxide production in riparian zones and groundwater. Nutrient Cycling in Agroecosystems 52(2 3): 179 186. Haycock N and Pinay G (1993) Nitrate retention in grass and poplar vegetated riparian buffer strips during the winter. Journal of Environmental Quality 22(2): 273 278. Hefting MM (2003) Nitrogen Transformation and Retention in Riparian Buffer Zones, 200pp. PhD Thesis, University of Utrecht, The Netherlands. Hefting MM, Bobbink R, and de Caluwe H (2003) Nitrous oxide emission and denitrification in chronically nitrate loaded riparian buffer zones. Journal of Environmental Quality 32(4): 1194 1203. IPCC (2001) Atmospheric chemistry and greenhouse gases. In: Houghton JT, Jenkins GJ, and Ephraums JJ (eds.) Climate Change (2001). The Scientific Basis, ch. 4, pp. 239 387. New York: Cambridge University Press. Jordan TE, Correll DL, and Weller DE (1993) Nutrient interception by riparian forest receiving inputs from adjacent cropland. Journal of Environmental Quality 22(3): 467 473. Jorga W, Heym W, and Weise G (1982) Shading as a measure to prevent mass development of submersed macrophytes. Internationale Revue der gesamten Hydrobiologie 67: 271 281. Jorga W and Weise G (1977) Growth of submerged macrophytes in slowly running waters related to oxygen balance. Internationale Revue der gesamten Hydrobiologie 62: 209 234. Knauer N and Mander U (1989) Untersuchungen uber die filterwirkung verschiedener saumbiotope an gewassern in Schleswig Holstein. Part 1: Mitteilung: Filterung von stickstoff und phosphor. Zeitschrift fur Kulturtechnik und Landentwicklung 30: 365 376. Krause A (1977) On the effect of marginal tree rows with respect of the management of small lowland streams. Aquatic Botany 3: 185 192. Kuusemets V, Mander U, Lohmus K, and Ivask M (2001) Nitrogen and phosphorus variation in shallow groundwater and assimilation in plants in complex riparian buffer zones. Water Science and Technology 44(11 12): 615 622. Lawrance R, Williams RG, InamdarSR, Bosch DD, and Sheridan JM (2001) Evaluation of coastal plain conservation buffers using the reparian ecosystem management model. Journal of the American Water Resources Association 37(6): 1445 1455. Unterhaltung der gewasser. Schriftenreihe für Vegetationskunde 9: 1 105. Lohmus K, Kuusemets V, Ivask M, et al. (2002) Budgets of nitrogen fluxes in riparian grey alder forests. Archives of Hydrobiology 141/3 4: 321 332. Lovell ST and Sullivan WC (2006) Environmental benefits of conservation buffers in the United States: Evidence, promise, and open questions. Agriculture, Ecosystems and Environment 112(4): 249 260. Magette WL, Brinsfield RB, Palmer RE, and Wood JD (1989) Nutrient and sediment removal by vegetated filter strips. Transactions of the ASAE 32(2): 663 667. Malanson GP (1993) Riparian Landscapes, 296pp. Cambridge: Cambridge University Press. Mander U (1989) Kompensationsstreifen entlang der ufer und gewasserschutz. Landesamt fur Wasserhaushalt und kusten Schleswig Holstein, 61pp. Bericht D10. Mander U (1995) Riparian buffer zones and buffer strips on stream banks: Dimensioning and efficiency assessment from catchments in Estonia. In: Eiseltova M and Biggs J (eds.) IWRB Publication No. 37: Restoration of Stream Ecosystems, pp. 45 64. Slimbridge, UK: International Waterfowl and Wetlands Research Bureau (IWRB). Mander U, Hayakawa Y, and Kuusemets V (2005) Purification processes, ecological functions, planning and design of reparian buffer zones in agricultural watersheds. Ecological Engineering 24(5): 421 432. Mander U and Kimmel K (2007) Wetlands and riparian buffer zones in landscape functioning. In: Hong S K, Nakagoshi N, Fu B, and Morimoto Y (eds.) Landscape Ecological Applications in Man Influenced Areas: Linking Man and Nature Systems, pp. 329 357. Dordrecht, The Netherlands: Springer. Mander U, Kuusemets V, and Ivask M (1995) Nutrient dynamics of riparian ecotones: A case study from the Porijogi River catchment, Estonia. Landscape and Urban Planning 31(1 3): 333 348. Mander U, Lohmus K, Kuusemets V, and Ivask M (1997) The potential role of wet meadows and grey alder forests as buffer zones. In: Haycock NE, Burt TP, Goulding KWT, and Pinay G (eds.) Buffer Zones, Their Processes and Potential in Water Protection, Proceedings of the International Conference on Buffer Zones, pp. 35 46. Oxford: Quest Environmental, Foundation for Water Research. Meyer LD and Wishmeier WH (1969) Mathematical simulation of the process of soil erosion by water. Transactions of the ASAE 12(3): 754 758. Mitsch WJ (1994) The nonpoint source pollution control function of natural and constructed riparian wetlands. In: Mitsch WJ (ed.) Global Wetlands: Old World and New, pp. 351 361. Amsterdam: Elsevier. Moore ID and Burch GJ (1986) Physical basis of the length slope factor in the universal soil loss equation. Soil Science Society of America Journal 50(5): 1294 1298. Naiman RJ, Decamps H, and McClain ME (2005) Riparia. Ecology, Conservation, and Management of Streamside Communities, 430pp. Amsterdam: Academic Press. Overcash MR, Bingham SC, and Westerman PW (1981) Predicting runoff pollutant reduction in buffer zones adjacent to land treatment sites. Transactions of the ASAE 24(2): 430 435. Peterjohn WT and Correll DL (1984) Nutrient dynamics In an agricultural watershed: Observations on the role of a riparian forest. Ecology 65(5): 1466 1475. Petersen RC, Petersen LB M, and Lacoursiere J (1992) A building block model for stream restoration. In: Boon PJ, Calow P, and Petts GE (eds.) River Conservation and Management, pp. 293 309. New York: Wiley. Phillips JD (1989) Nonpoint source pollution control effectiveness of riparian forests along a coastal plain river. Journal of Hydrology 110(3 4): 221 237. Pinay G and Decamps H (1988) The role of riparian woods in regulating nitrogen fluxes between the alluvial aquifer and surface water: A conceptual model. Regulated Rivers 2: 507 516. Pinay G, Roques L, and Fabre A (1993) Spatial and temporal patterns of denitrification in a riparian forest. Journal of Applied Ecology 30(4): 581 591. Quigley TM (1981) Estimating contribution of overstory vegetation to stream surface shade. Wildlife Society Bulletin 9: 22 27. Richardson CJ (1985) Mechanisms controlling phosphorus retention capacity in fresh water wetlands. Science 228(4706): 1424 1427. Scholefield D, Hawkins JMB, and Jackson SM (1997) Development of a helium atmosphere soil incubation technique for direct measurement of nitrous oxide and dinitrogen fluxes during denitrification. Soil Biology and Biochemistry 29(9 10): 1345 1352. Slack KV and Feltz HR (1968) Tree leaf control on low flow water quality in a small Virginia stream. Environmental Science and Technology 2: 126 131. Stanford JA and Ward JV (1993) An ecosystem perspective of alluvial rivers Connectivity and the hyporheic corridor. Journal of the North American Benthological Society 12(1): 48 60. Stevens RJ, Laughlin RJ, and Malone JP (1998) Soil pH affects the processes reducing nitrate to nitrous oxide and di nitrogen. Soil Biology and Biochemistry 30(8): 1119 1126. Teiter S and Mander U (2005) Emission of N2O, N2, CH4, and CO2 from constructed wetlands for wastewater treatment and from riparian buffer zones. Ecological Engineering 25(5): 528 541. 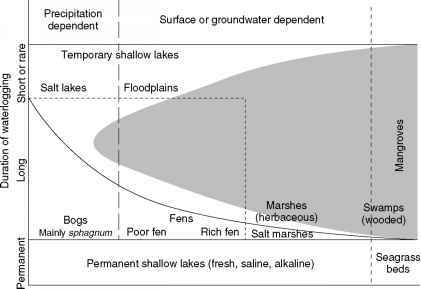 Vanek V (1991) Riparian zone as source of phosphorus for a groundwater dominated lake. Water Research 25(4): 409 418. Verhoeven JTA, Arheimer B, Yin CQ, and Hefting MM (2006) Regional and global concerns over wetlands and water quality. Trends in Ecology & Evolution 21(2): 96 103. Vought LB M, Dahl J, Pedersen CL, and Lacoursiere JO (1994) Nutrient retention in riparian ecotones. Ambio 23(6): 342 348. Watts SH and Seitzinger SP (2000) Denitrification rates in organic and mineral soils from riparian sites: A comparison of N2 flux and acetylene inhibition methods. Soil Biology and Biochemistry 32(10): 1383 1392. Weller DE, Correll DL, and Jordan TE (1994) Denitrification in riparian forests receiving agricultural discharges. In: Mitsch WJ (ed.) Global Wetlands: Old World and New, pp. 117 131. Amsterdam: Elsevier. Wolf I and Russow R (2000) Different pathways of formation of N2O, N2 and NO in black earth soil. Soil Biology and Biochemistry 32(2): 229 239. Xiang W N (1996) GIS based riparian buffer analysis: Injecting geographic information into landscape planning. Landscape Urban Planning 34(1): 1 10.